The pre-trial surveys were used to gather information to understand the participants’ general level of knowledge, experience and confidence with the devices. In Survey 1 there were 43 responses: EML309 47%, ITC594 26%, MRS222 28%, and in Survey 2, 14 responses: 4 Students and 10 Staff members. The key measures from this survey were previous use of iPads, confidence in using them at the start of the trial and their current ownership of technology at the start of the trials. Figure 2: Question used a Likert scale to plot participant confidence. 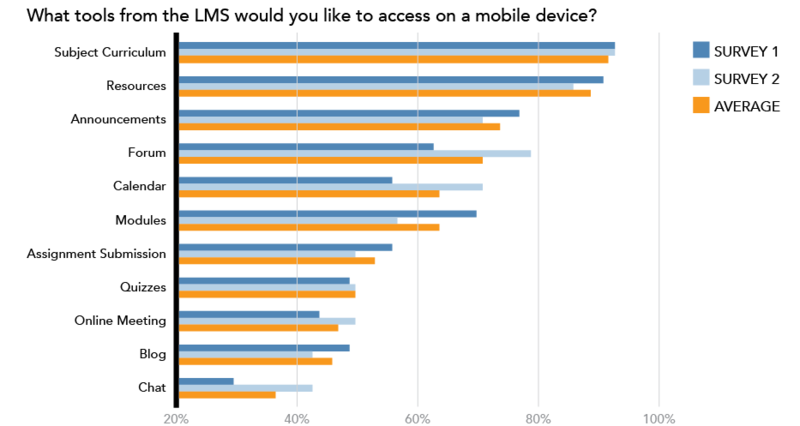 These surveys were also used to get a better sense of their expectations of services and content related to the LMS (Interact) that should be available on mobile. 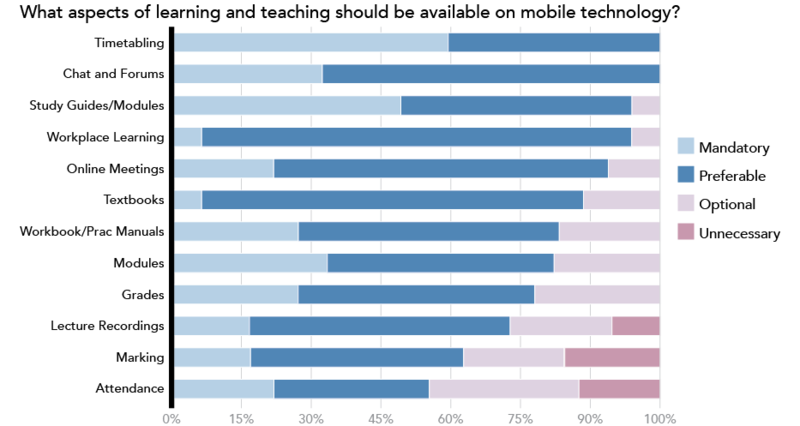 Figure 4: Feedback from participants on what aspects should be accessible on mobile technology. Research/Investigation – websites, library catalogues and journals. Reading – online and digital documents. Communication – email, social media and Skype. Note Taking – in class, in the field and at home. Video & Audio Creation – staff and students recording themselves as part of their practice, research and learning. Group Work & Sharing – participation and collaboration around a device and content. Students reported that they would spend more time accessing their subject outlines, Interact, other learning materials and their lecture when they had an iPad. Access to library, forums and textbooks remain unchanged. The median measurements across the groups showed that the iPad was used 6.5 days a week for around 1.5 hours each day. and that they would recommend the iPad as a study tool. Device supplied by the University. One activity that had a preference for paper was “Read your Textbook”. The CSU WiFi network uses the EAP encryption method that is incompatible with some devices, in particular eReaders and older mobile devices. The Lithium batteries used in mobile devices are considered to be dangerous goods, and cannot be transported by air. Sending iPads by road transport lengthens the postage time to most students. Courier services offer an alternative in some cases but dramatically raise costs. Apple licensing limitations that state a device can be associated with only one Apple ID account at any given time, and you may switch a device to a different account only once every 90 days. Many components of the CSU online experience are not mobile friendly and use legacy technology or those incompatible with many mobile devices, in particular Java and Flash. These issues are compounded by the inability to provide support remotely or resolve systemic issues through the project. The iPads were extremely robust and build quality is excellent. No devices failed and only three were damaged through accidental drops.